Are you tired of storing and/or hauling your RV around? Do you want to save on fuel costs and have your own “Cabin in the Mountains” where you can enjoy the fresh mountain air and the peacefulness that Pinezanita has to offer? Well, were here to help. We offer a program that lets you do all of those things and you won’t even have to pay property taxes on your mountain getaway. Call us, and we’d be happy to answer any questions you might have. We would love to have you join our community of happy RV owners that love their own “Cabin in the Mountains”. 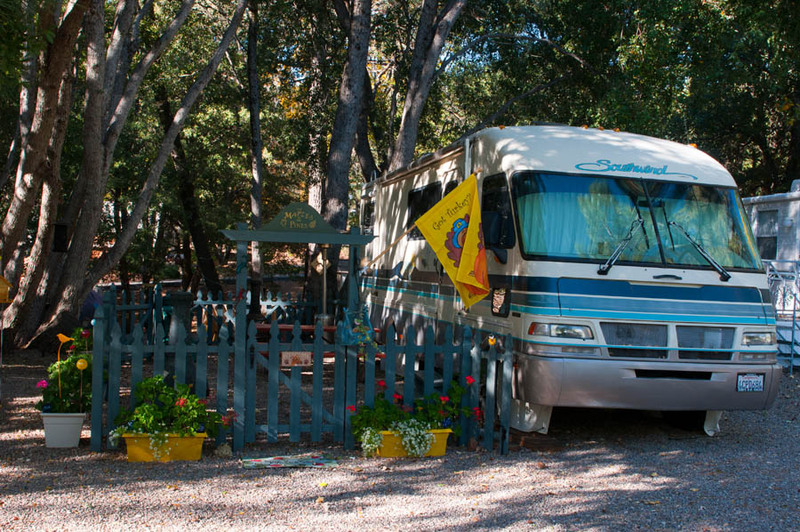 Do you love coming up to the Julian area in the Spring for the wildflowers, or in the Summer for your vacation or weekend getaways, or perhaps in the Fall for Apple Days and the dramatic change in the tree colors, but are tired of pulling or driving that RV up all the time? Would you like a place to store your RV closer to your destination? Maybe you live in the Julian area and just don’t have a place to store your RV? Well, we also offer RV storage here at Pinezanita at very competitive rates. Give us a call, and we would be happy to answer your questions and help in any way we can.